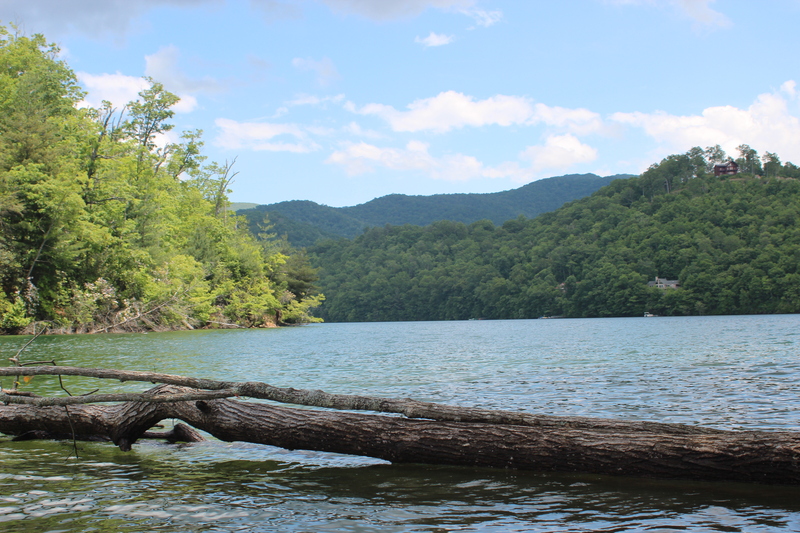 “Giant pipes carry water from Nantahala Lake across the mountains to the Beechertown power plant where it is dropped down onto giant turbines to produce hydroelectric power. 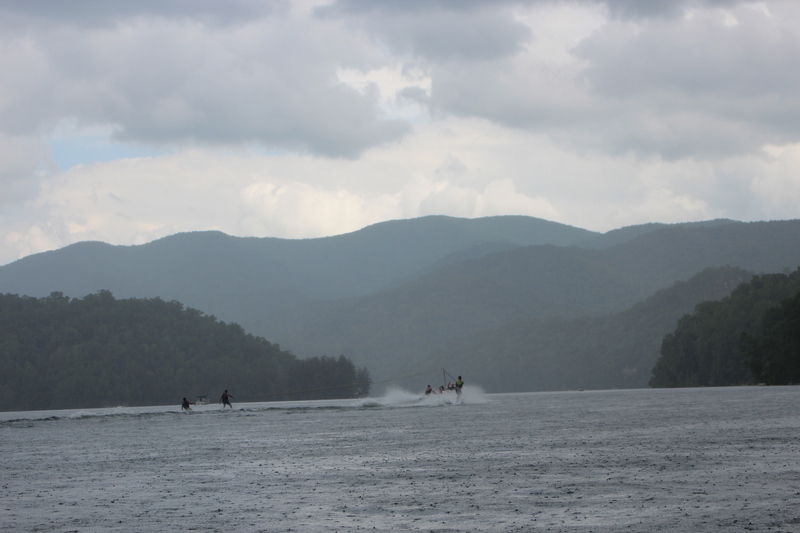 After the turbines the water is sent rushing out of the powerhouse and down the famous 8 ½ mile stretch of the Nantahala River between the power plant and Fontana Lake thus creating one of the most popular whitewater rafting attractions in the United States! 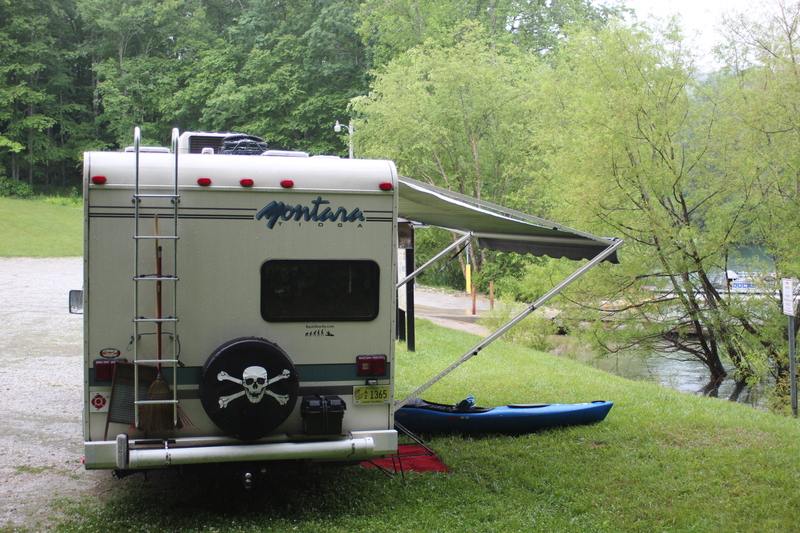 The Nantahala River has class 2 & 3 whitewater” – Carolina Outfitters. 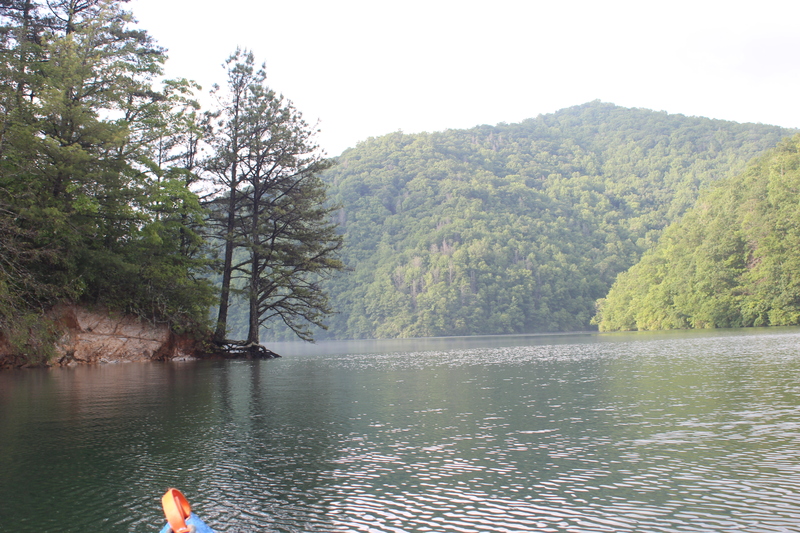 Nantahala lake/river flows into Fontana lake. 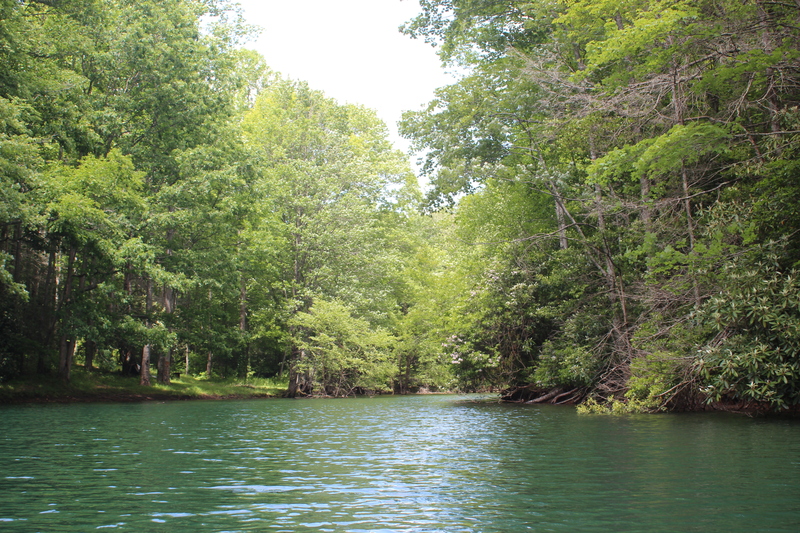 The ‘white-water’ part of Nantahala is something that I have always been clear about; it’s where that water originated that was murky – this, is what I wanted to find out. 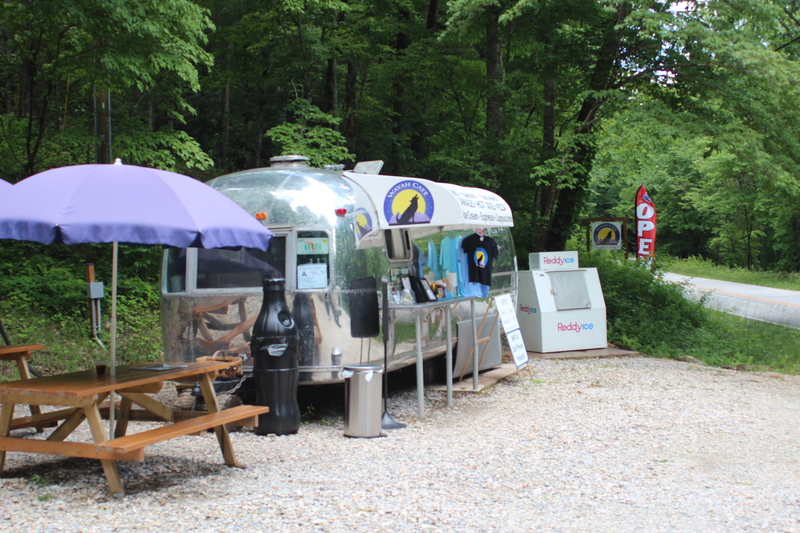 At 3010′ elevation, Nantahala is just west of Franklin, NC – a few miles after the little store of loafer’s glory. On this Sunday the little store was certainly living up to its reputation, there were five or six folks milling about and the ‘no particular place to go’ attitude prevailed – I felt right at home. There were indeed too enough lingerer’s in conversation to make up a good bluegrass band, along with one or two quiet ones for a small audience. With a little ease dropping even the words to a song could be imagined – only thing missing were the instruments. Truth is I didn’t really need to stop but I was compelled too – wanted to walk around. I heated-up a crappy little microwave biscuit, just to dwell at ‘Loafer’s Glory’ (store now closed). 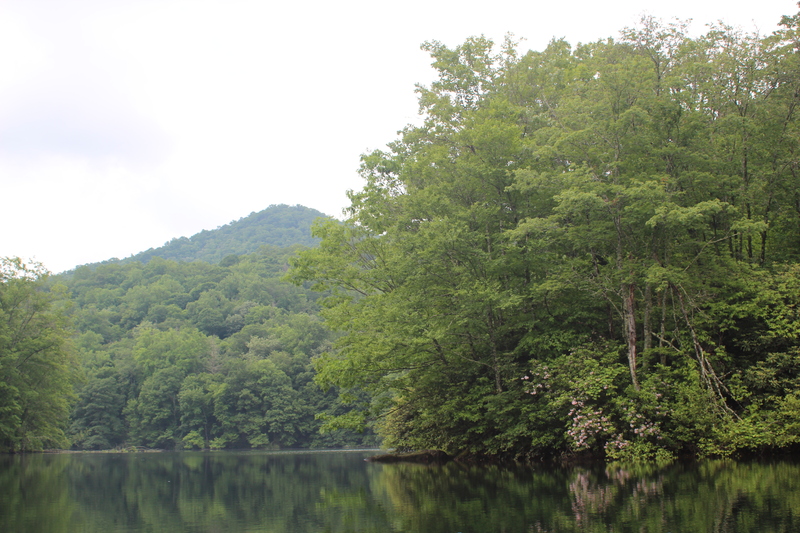 Nantahala lake was @ 17 miles further up Wayah road, the mood seems to change when make that turn at the store – life begins to reflect a more biological longevity. The road is winding and provided me a sense of familiarity to the ride, Lake Tahoe. The Tahoe ride and paddle remains high on my list and created a positive feeling to a pleasurable cruise. The drive to Tahoe on hwy-50 was uphill and the surrounding forest makes you feel a little more a part of this world. Wayah rd is no hwy-50 – but, it is still uphill through the forest and the ride compelled me to compare. 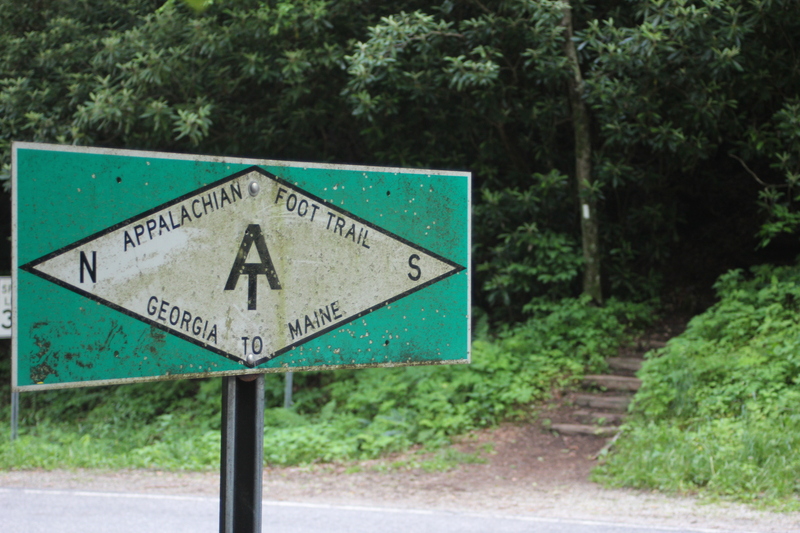 As the hwy crests the ridge the Appalachian trail crosses, its a good place to stop and admire the beaten trail – I wondered if its many adventurers had any idea (or cared) where this paved road lead. Prior to the trip I had ‘googled’ the area for relevant places of interest (eats, camping, etc), the list was limited but its always a big plus to find ‘land-food’ available. 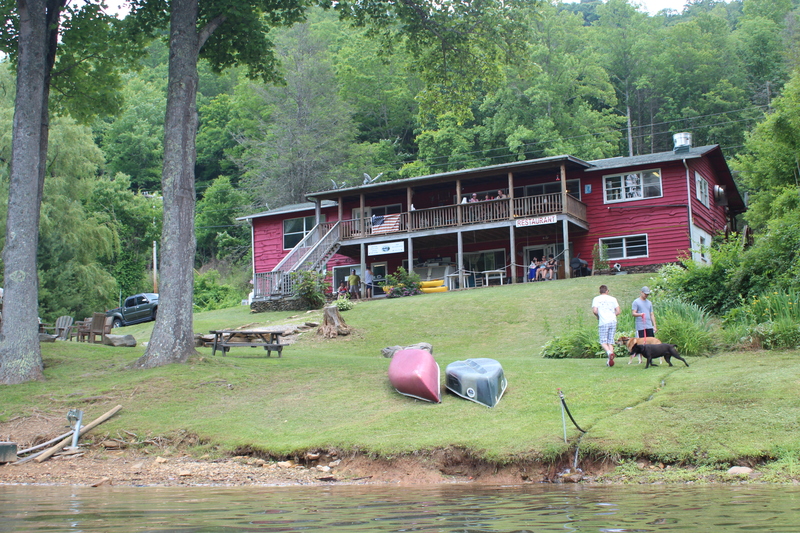 Restaurants on the water’s edge are a positive; at Nantahala the lakes-end restaurant is located on the NE shore (Topton, NC), great! 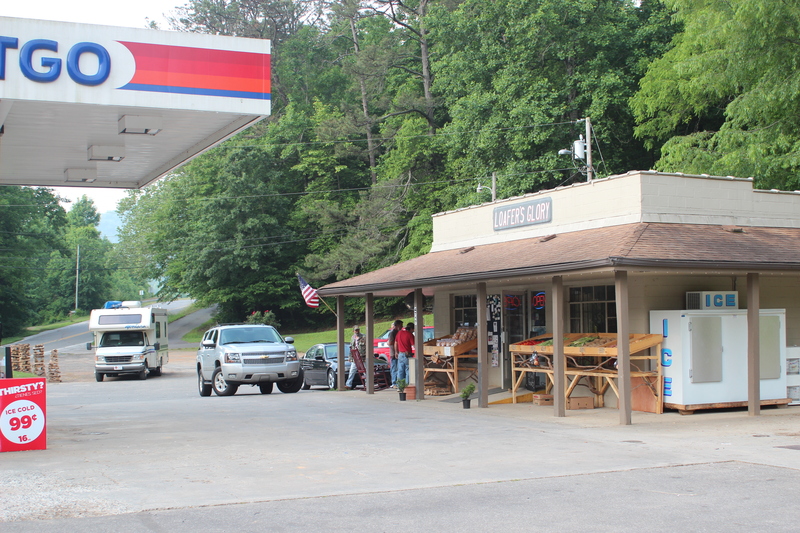 In addition a small cafe is found walking distance above the public boat ramp – the Wayah Cafe, I took the weight off my feet at each – just because I could. 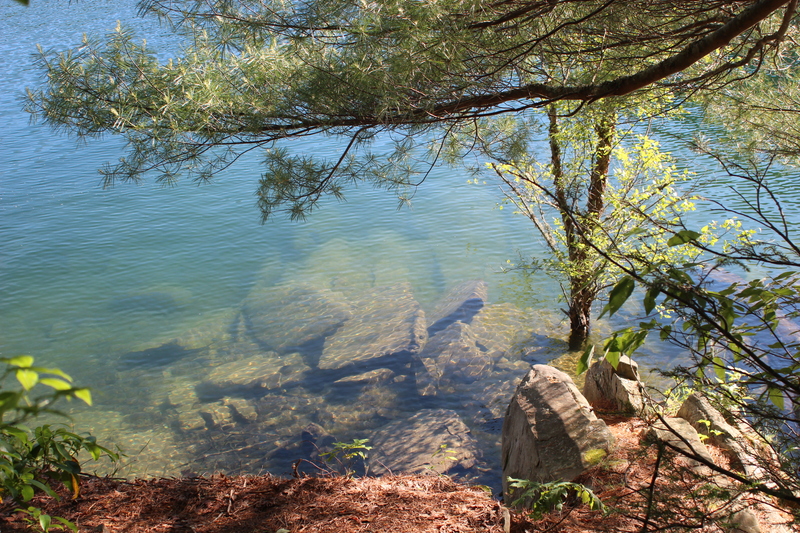 In reviewing ‘google-earth’ (its improved) for lake objectives and shorelines – primitive camping places seemed limited. 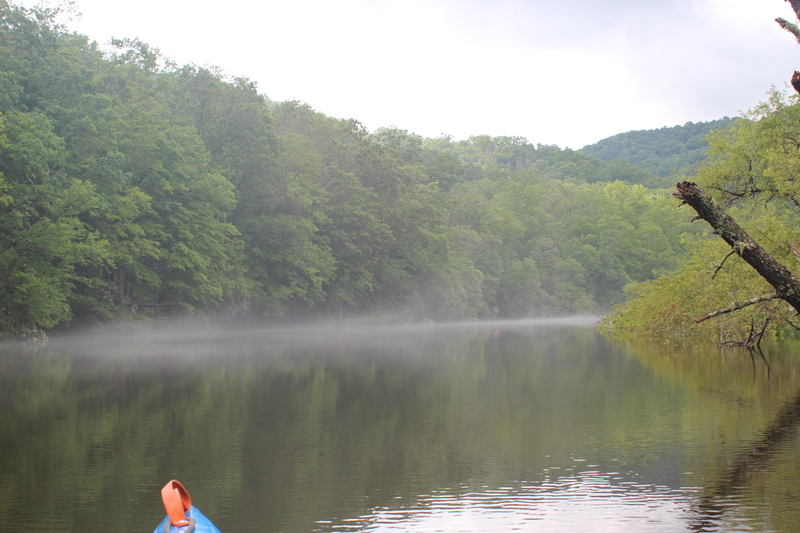 A one night and a two day paddle of the lake could fulfill my ‘headwaters’ mission, so “Lil bessie (RV) was my vehicle of choice – it didn’t hurt either that I had just attended an alumni function at RGNS (now a prep school) – along with the night at the fireman’s camp – a well rounded trip. Made it to the ramp early on Sunday. Noticing the FD shirts, these ff’s from Lowndes County, Ga came to fish – I sensed someone was going to get wet along the way – all in fun. Somewhere since loafers-glory time did not seem to be a factor, there was plenty of it. 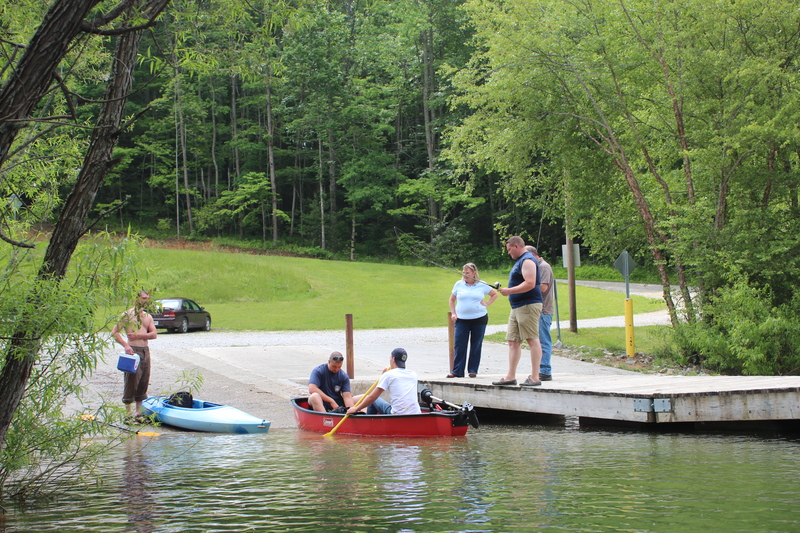 No hurry to get on the water – and all folks that I ran into, wanted to talk – so I let ’em. Sue Ann dropped by with her dog Louise and ‘chewed the fat’ for a pretty good spell, good conversation with no time-frame or objective – front-porch stuff. With only a partial Sunday remaining a good beginning would be to paddle as much of the North-end as possible – to the restaurant and have some ‘land-food.’ So I did. 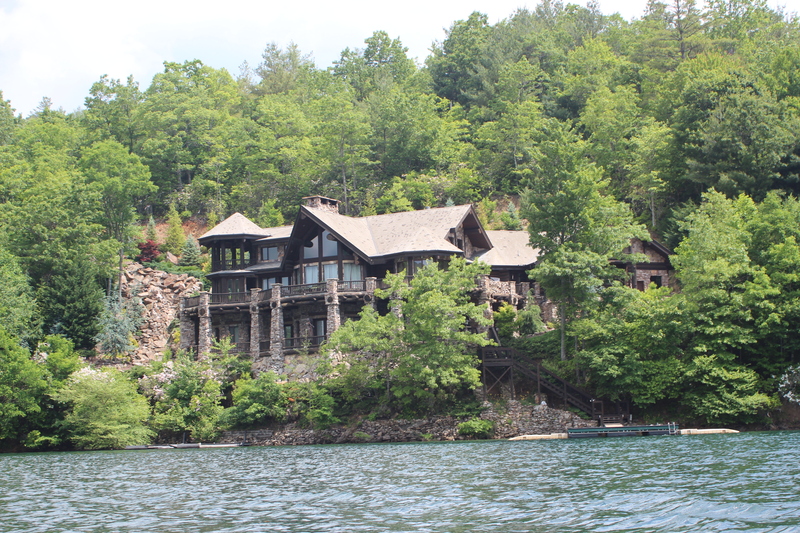 The homes that I did see are almost hidden behind the trees of the shore and do not detract from the natural feel of a lake in the Smokey Mountains. 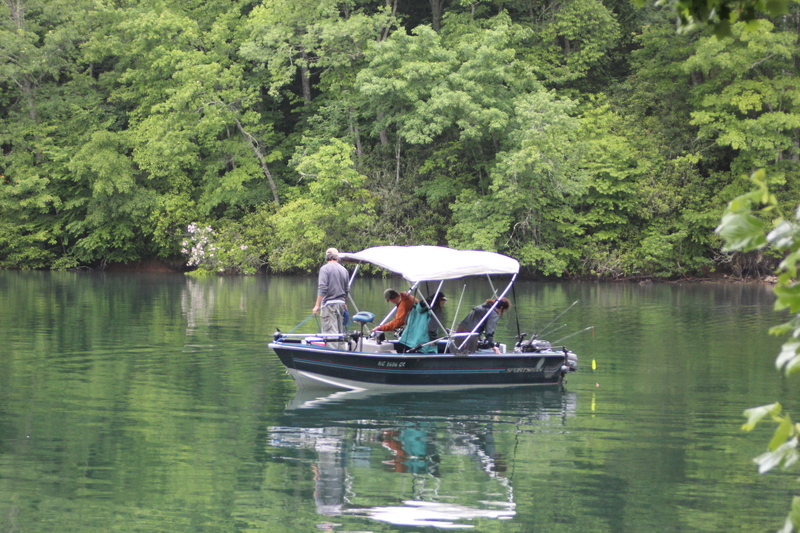 Nantahala lake is not natural, it was created at the beginning of WWII to support the war effort, still its easy to sense that it has been here much longer. Making a wide swing along the shoreline past the Restaurant, there were cabins for lodging nestled up in the corner with ez lake access. The folks above found the ‘loafer-air’ relaxing too, no hurry, just watching the world go by. Stopped and we enjoyed good conversation here too, of course the Suwannee river and the Mississippi even took their turns as various subjects came and went in the friendly setting. But land-food was my mission – and the Lakes End was open 8 to 4 on Sunday. 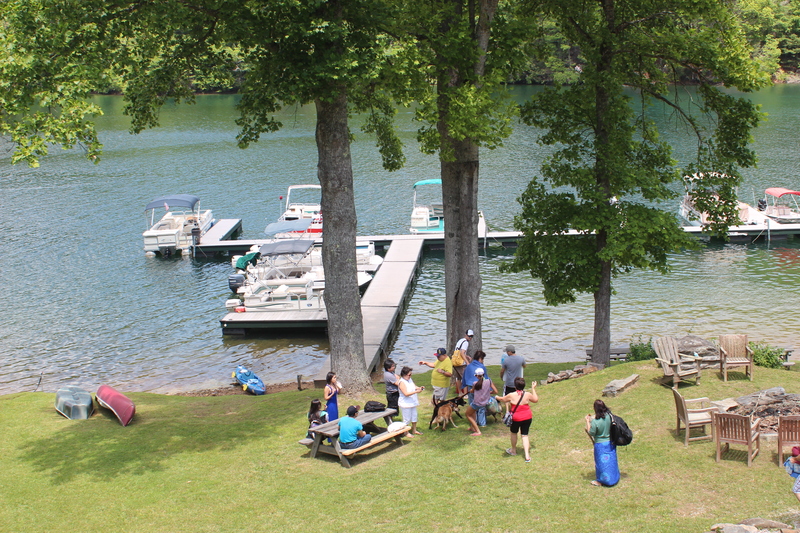 Dining is available inside and out – the porch area provided a great view of the lake along with this large Asian family in the process of renting a pontoon for a ride on the lake – families are as universal as the hearty laughs created. For me cole-slaw is always an indicator of food quality, Lakes-End was southern (good) – the trout-nuggets were a bit over fried; but with that said ‘land-food’ is not an area of expertise for me (I ate it all) – ‘loafing’ is a bit closer to my heart. I did loaf long enough to create a paddle-plan on my ‘google map. 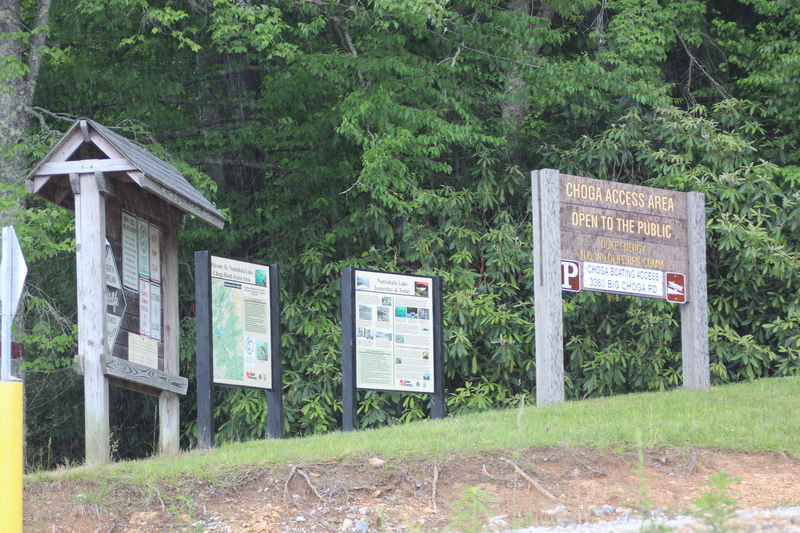 #1 was the public boat-ramp. 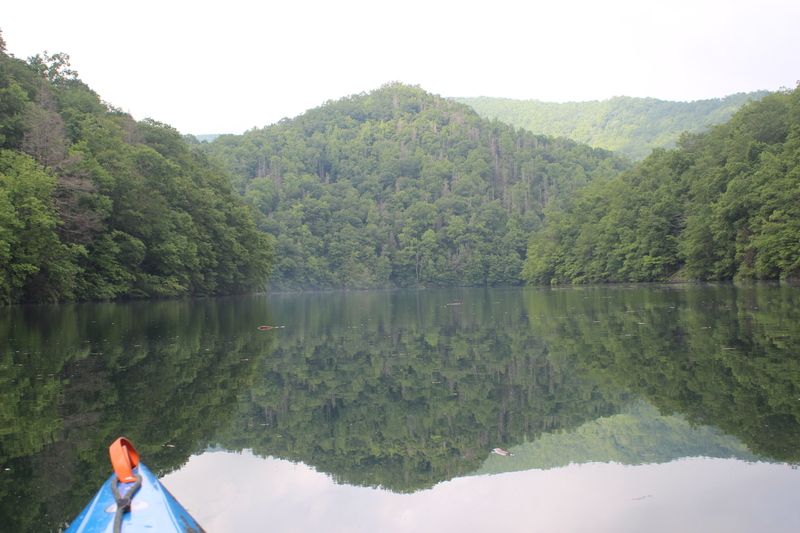 Where roughly the lake resembled the shape of a ‘T,’ my plan was to paddle (1-4) the ‘top of the “T” the first day, and then on day two set out as far up (or down as the map goes) to the headwaters as time would allow, then explore the coves on the way back (basic game-plan for me). The fries that came with the trout-nuggetts were laying hheavy as ‘ballast‘ in the mid-day heat, ahead was an island. I’ve paddled Traveller long enough to know how to comfortably lay-back with ‘feet-up,’ on the ‘leeward’ side of this island – and it was a thirty minute ‘loafer’s dream’ – pretty much about nothing. 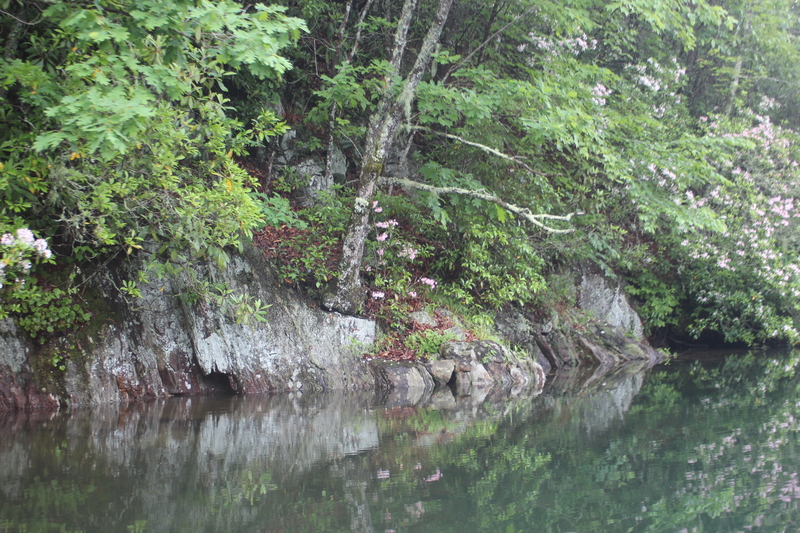 On the North end of the lake I did find a couple small coves, and that wonderful sound of fresh water falling – what a great sound to be welcomed with. Sometimes the air passing through the trees leaves makes a similar noise, with no other sounds around I had to think twice about it – but it was the sound of water – pleasantville. 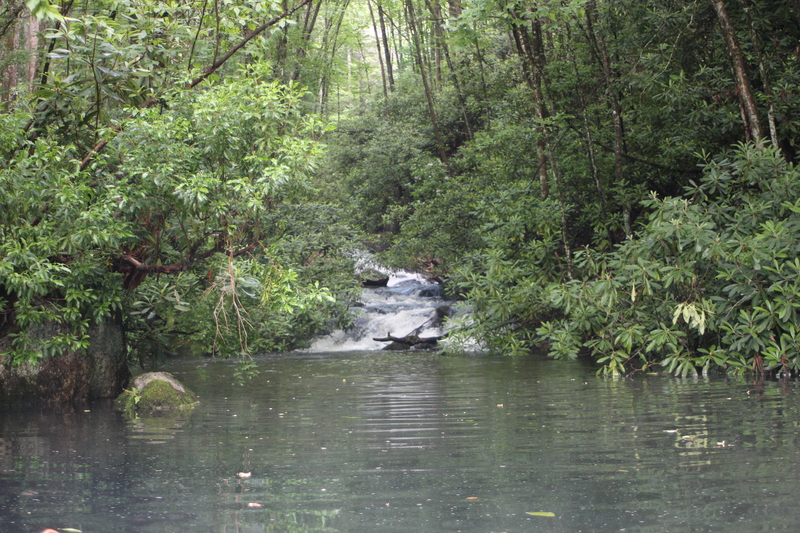 Those sounds of water on Nantahala lake were plentiful – especially on the headwaters end, but the streams were mostly difficult to see behind the heavy rhododendrons. Touch the water and they were ez to visualize. The only comfortable shoreline for lake access seemed to be on this western section of the ‘T’, only one place (other than the island) did it appear as though you might camp. The lake was very clean, but unfortunately the few primitive camp sites showed signs of stupid people leaving their trash behind – just takes a few. The Choga access is another public landing – a little more to the Andrews side, it was one that I hadn’t noticed when researching. – and then ‘bottom fell out, the rain came – once again not a big deal, keep paddlin and its a ‘warm’ wet…. Not long ago I picked up a Wilderness systems kayak and moved most of my ’emergency-gear’ into it. It ‘just so happened that I paddled traveller this trip, now using the tree line out of the bulk of the rain I was missing some of that ‘gear,’ especially the parka. 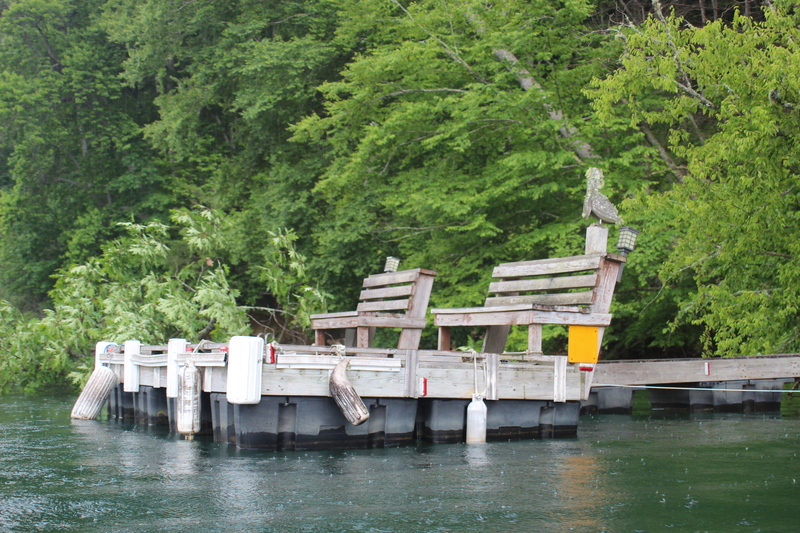 I did make it back to the boat ramp, wet – and the rains continued unrelenting through the night and until 2 pm on day-2. 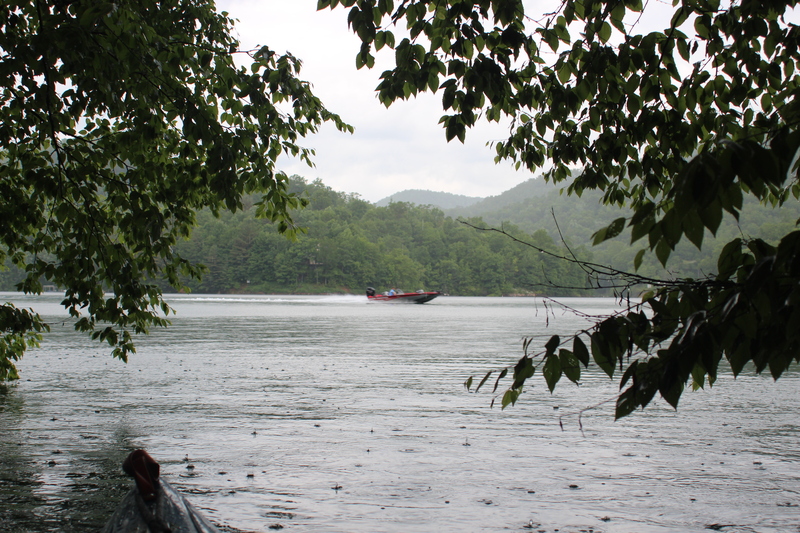 Fishermen came and went rain or shine (‘keep on ketchin’ above) giving me the impression tha walleye and bass are plentiful here – fishin (and ketchin) is good! When the showers moved away it was too late to start to the headwaters, so why go anywhere? 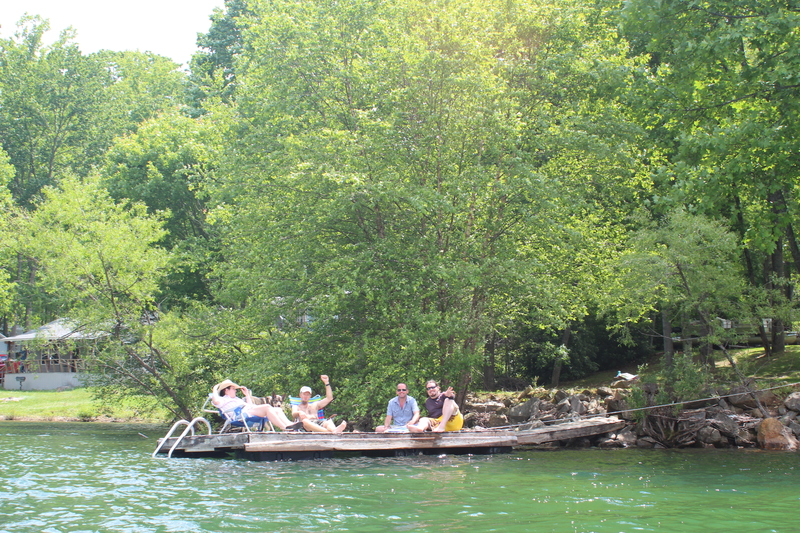 With limited places on the lake for access, kids came and played – again, laughter filled the air. 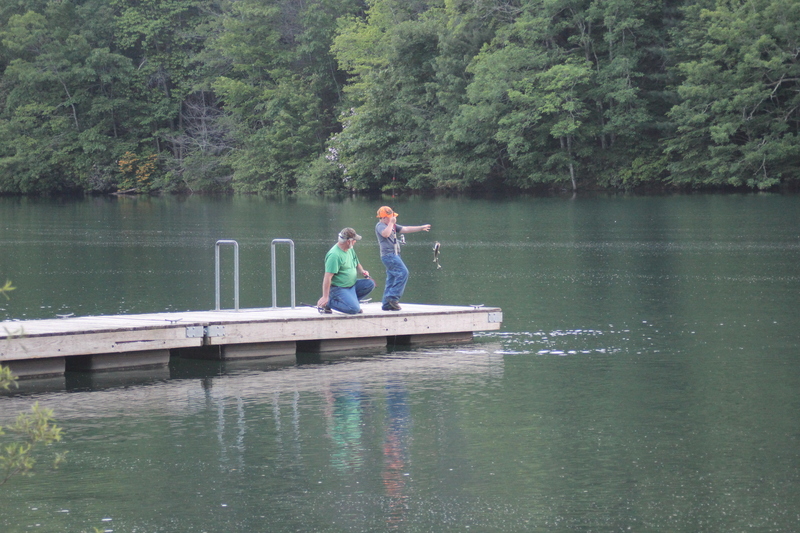 plus some exuberance as ‘fishing experiences and techniques were shared with a new generation. It didn’t take long to figure out that Day-2 was ‘a-wash,’ so there was plenty of time to walk to the Wayah Cafe and enjoy a brat while ‘passing the time. Plenty of time to ponder too what my father was doing at this same age – probably about the same thing (loafing) as I, its just that I venture further than my back yard. Sue, Louise, and others stopped through and chatted too, talkative folks. Somewhere in it all a day-3 came to fruition, Day 2 was simply a day to linger at the boat ramp, always a place with that special kind of entertainment. Another bonus was having my ‘standard’ cup of coffee in the mornings. Day 3! 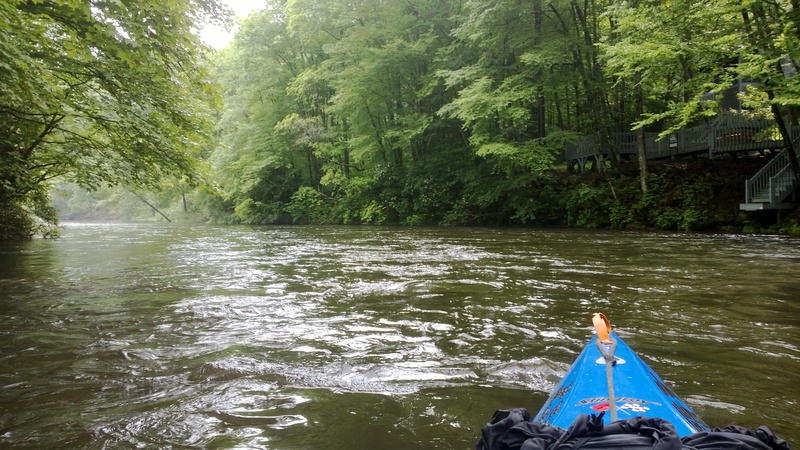 on the water, headwater bound at 7am – rain or shine. 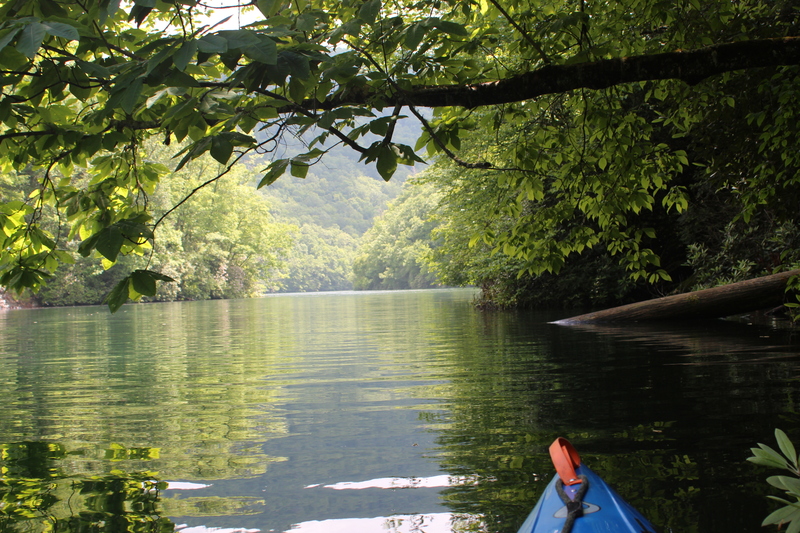 Along the way I explored the large cove that Nantahala Lake Marine and RV were situated – their lake access was not apparent so I left unsure of the exact location – but its a nice cove for paddling. On that note many of the docks had kayaks and canoes sitting about, indicating the quality of the place for paddlin. ‘This‘ is what I came for. Immersed amidst only natural sound as I paddled Southward towards the headwaters – no others but that of this cheap paddle slicing gently through the placid water…..
it was also the perfect stillness which reminded me of that story that was never meant to be repeated. But thats what paddlin intails; absorbing, reminiscing, – and if you’re lucky the ever present sounds of water coloring the thoughts of your mind. 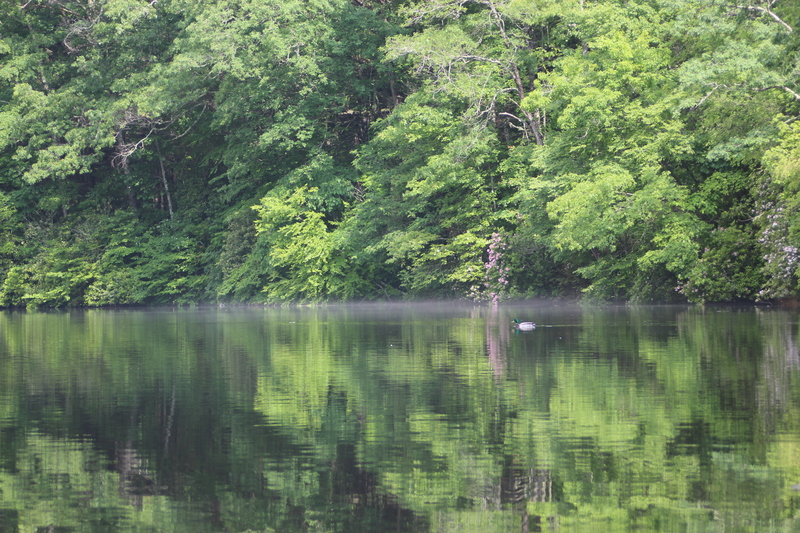 Cool vapor on the water usually indicated another ‘fresh’ water stream entering the headwaters yet to come. 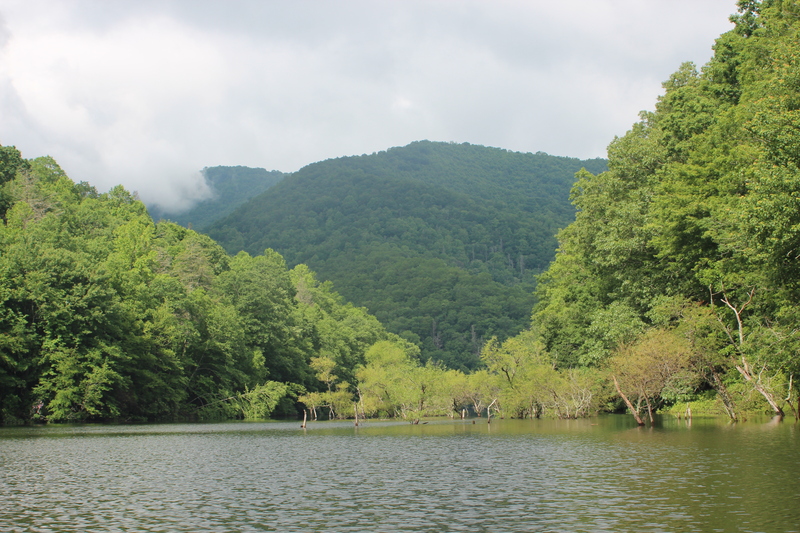 I paddled until lunch (5 hours) and as far as possible up the Nantahala’s headwater – until the rain-swollen creek held my efforts in check. It’s kinda like half-time, the place for dwelling (and/or calibrating) before turning to explore the route back. I dislike ‘back-tracking,’ but when paddling a different shoreline happens in reverse…. I did find a couple fish-camp’s to stop and stretch, for the most part of this entire lake there were no ‘beaches’ – just a wilderness shoreline with limited and mostly steep access. 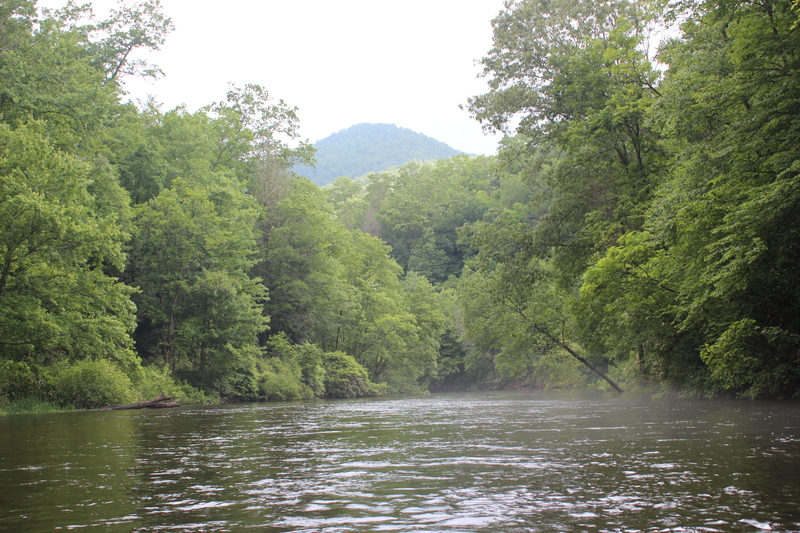 Along the way I counted at least 14 incoming creeks that supplied the Nantahala (and those white-water rafters) its fluids. 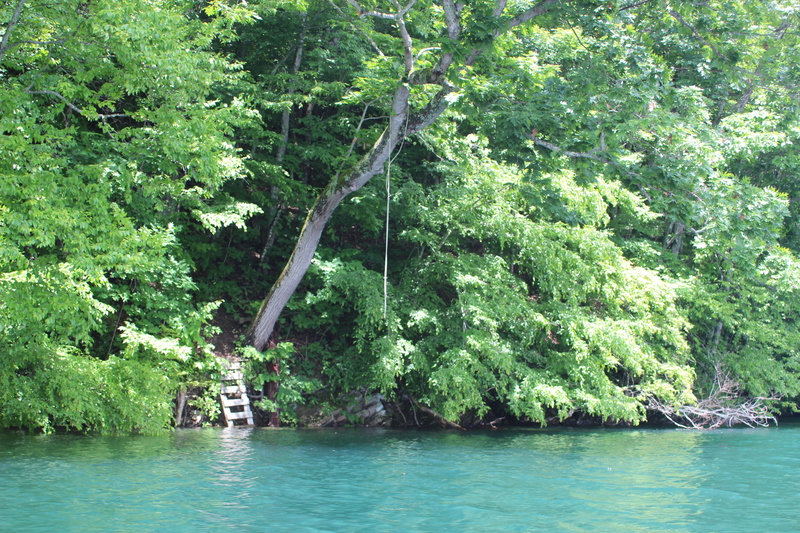 rope swings that remind me of cut-off blue jeans and those ‘dated’ swim-suits. as far as wildlife goes there were the normal kingfishers, plus the hollow’ sounds of a wood-pecker pounding through the forest; and mallards. 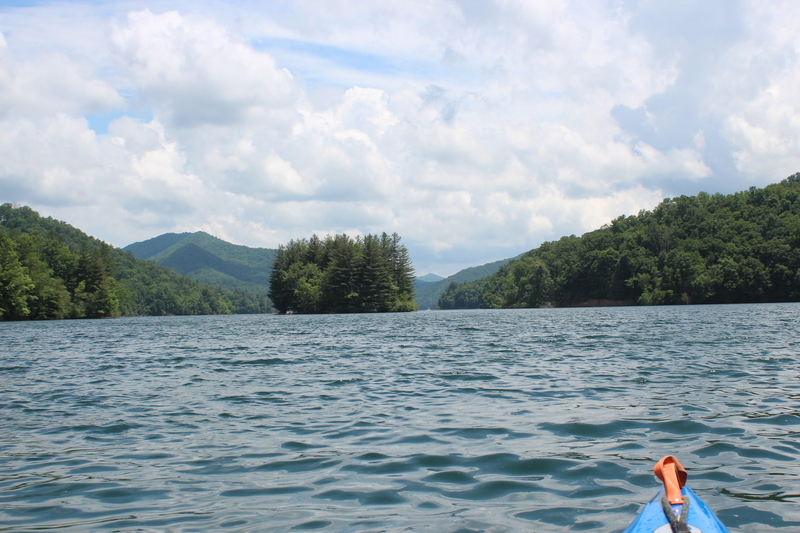 Nantahala lake is a great place to visit and paddle. The water is awesome and feels great! 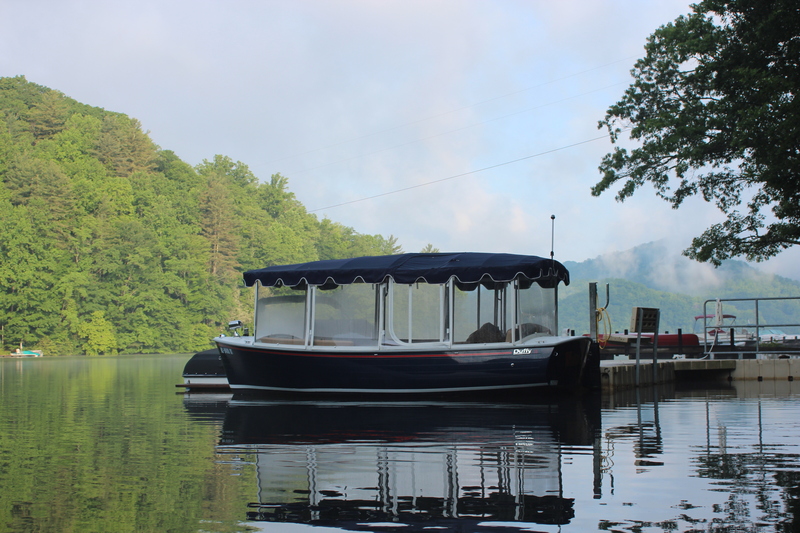 – but tough to find a convenient place to swim unless you rent a lodge or travel like a pirate (incognito). Good to see you post again, it’s been a while. Looks like a nice place to paddle. Great pictures. 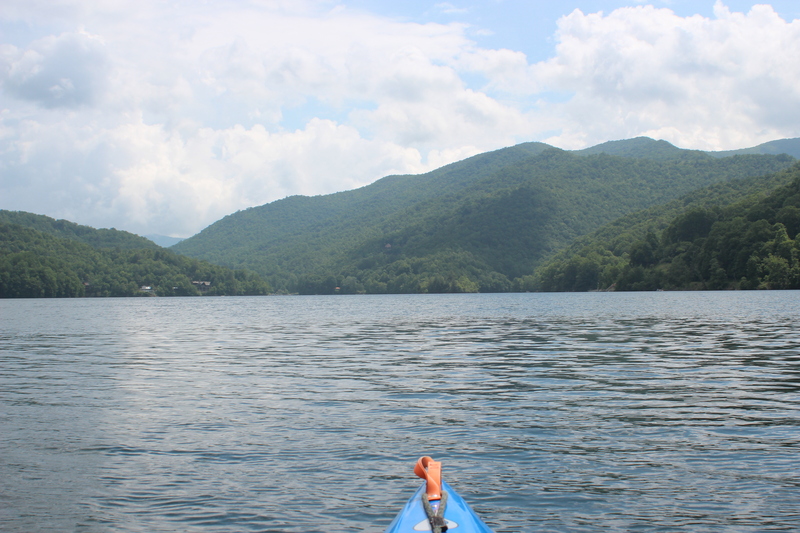 I will have to put North Carolina as a kayak destination. What a co-incidence. 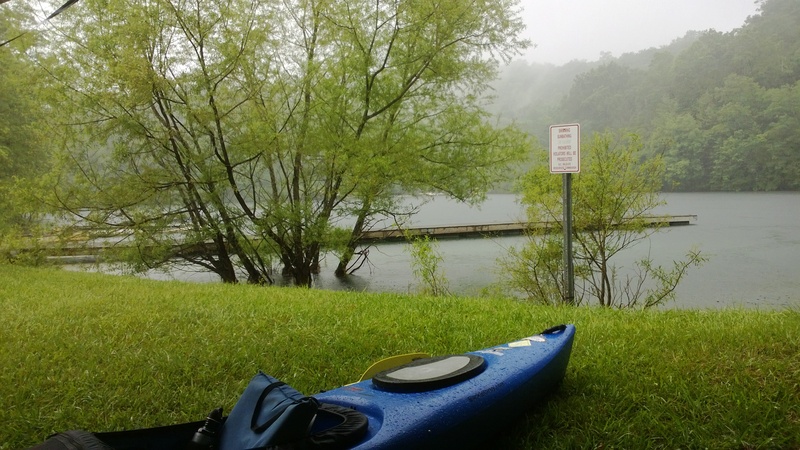 I just checked the home page of one of my kayak clubs, and they are scheduling a whitewater training trip on the Nantahalla in July. Unfortunately, that is a week before our trip to Michigan’s Upper Peninsula. 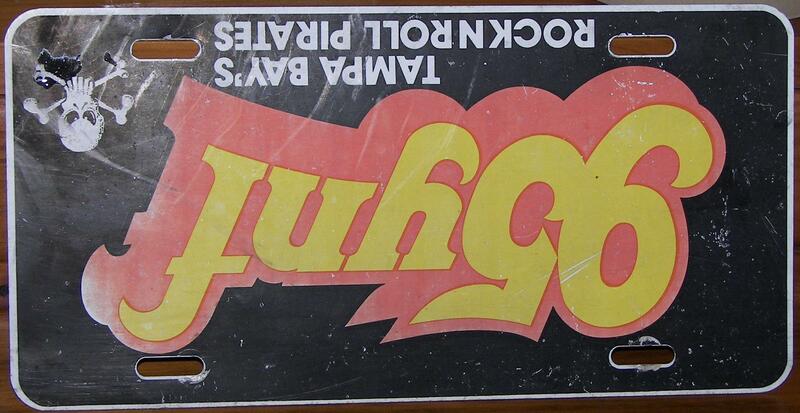 I may have to sign up for it if they do it again next year. This too shall pass. Hopefully it will all be straightened out soon and you’ll have more time on the water. I’ve had a lot going on, too, buying a new house, moving in a couple of weeks. Just need to make the most of any opportunity you can get to get on the water. Stay safe my friend. That’s not out of the question Al, a ole buddy taught me that…. 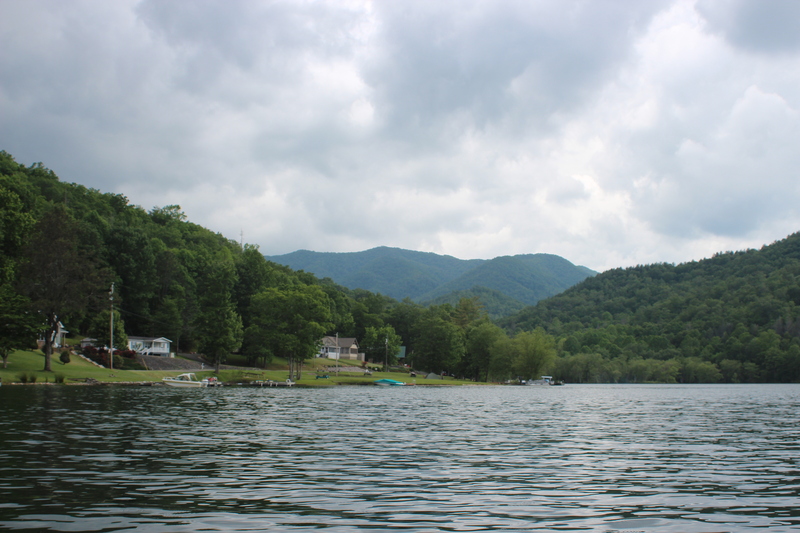 – Stumbled across your blog and enjoyed reading about your visit to our beloved lake. BTW, that’s our 18′ Duffy that you took a picture of. 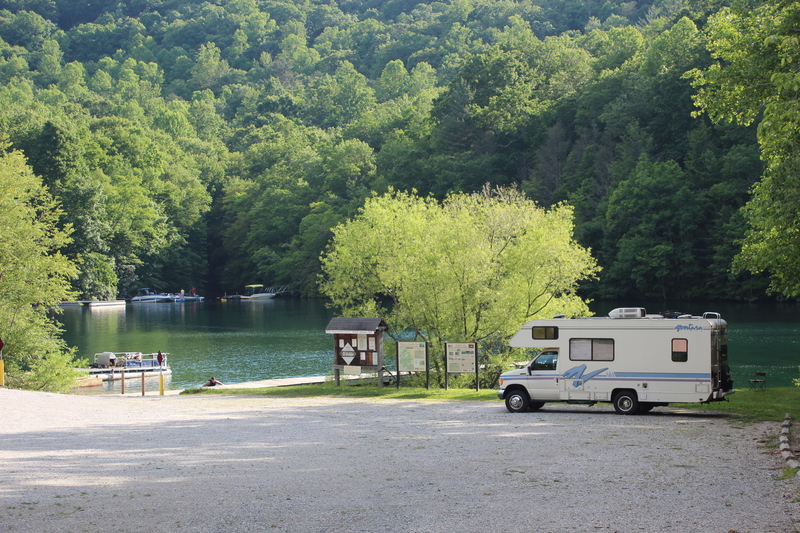 – Just so you know, the “Marina” and RV place (#5 on your map) is not located where you indicated. 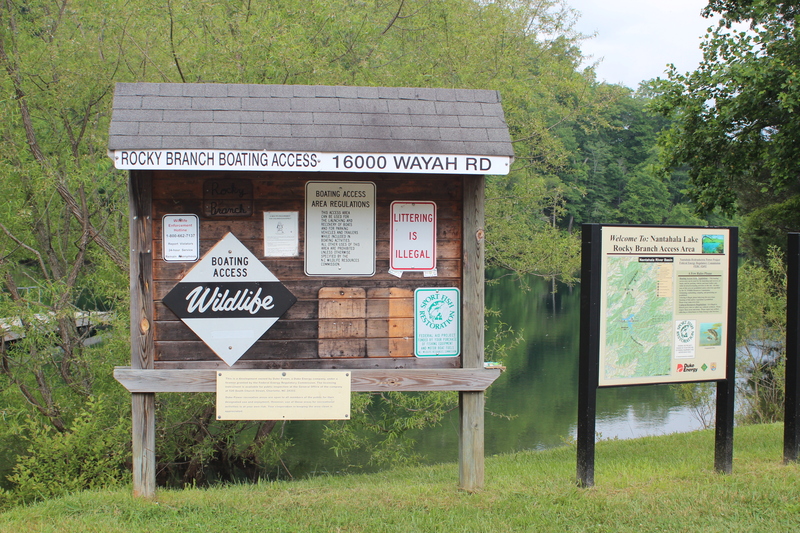 This business is actually not on the lake, but is on Wayah Road just south of the Rocky Branch boat landing where you put in. They do not have any lake frontage, thus you were not able to locate them from the water. It is mostly boat storage and repair, and presumably RV sites, although I’m not sure about that. 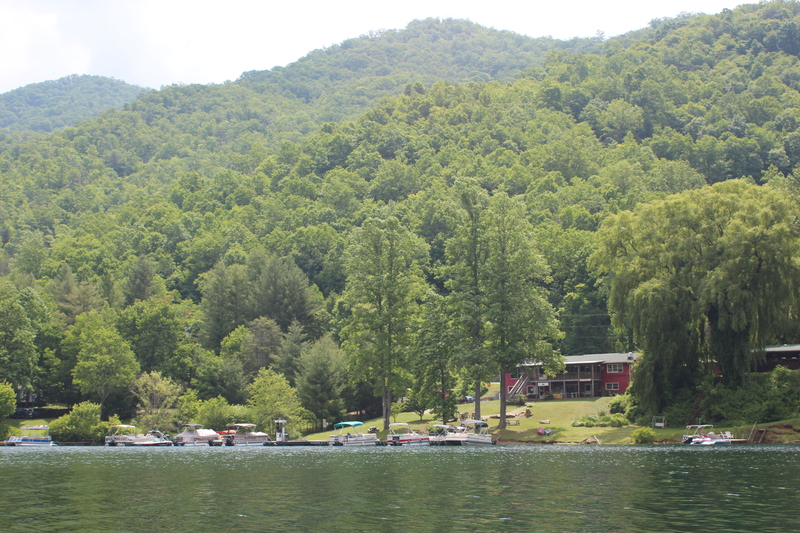 All of the lake frontage from the Rocky Branch boat landing down to the mouth of the river is residential /privately owned. – You missed a beautiful waterfall located up a trail about 10 minute’s walk from number 6 on your map. 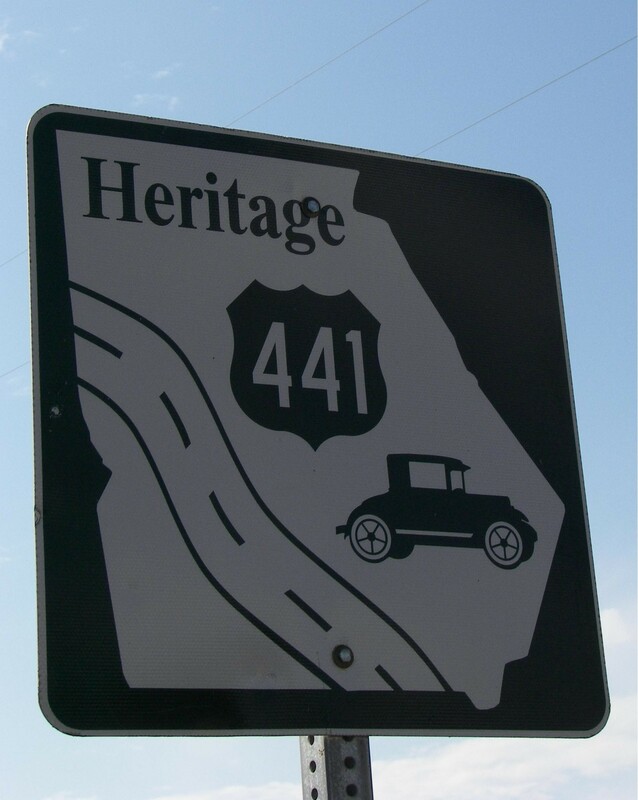 Catch it next time you visit. – Sadly, Loafer’s Glory closed a few weeks ago….we will miss this local landmark. I liked the Duffy, neat boat; and was disappointed when I couldn’t find the ‘Marina’s’ access to the lake (they claim to have 4 or 5 spots with walking access to the lake). 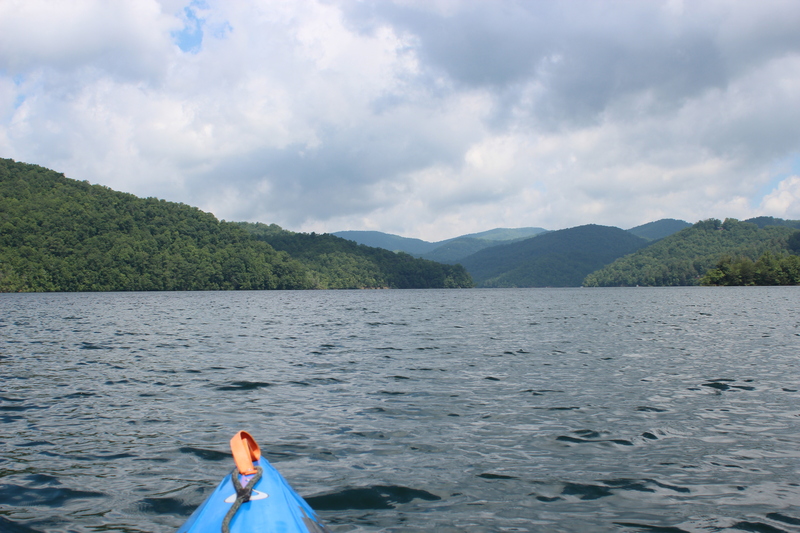 Not the primary reasons for my visit, what I did find was very much worth the paddle-time. 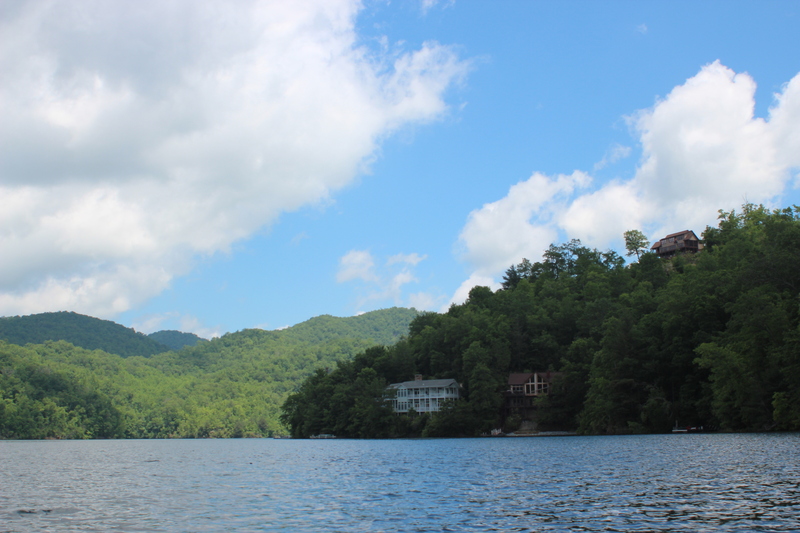 Staying on Nantahala Lake this weekend and would love to find the waterfall you mention. Especially if we can access the trail by paddle! If you look on a map, you can find where Clear Creek comes into the lake. 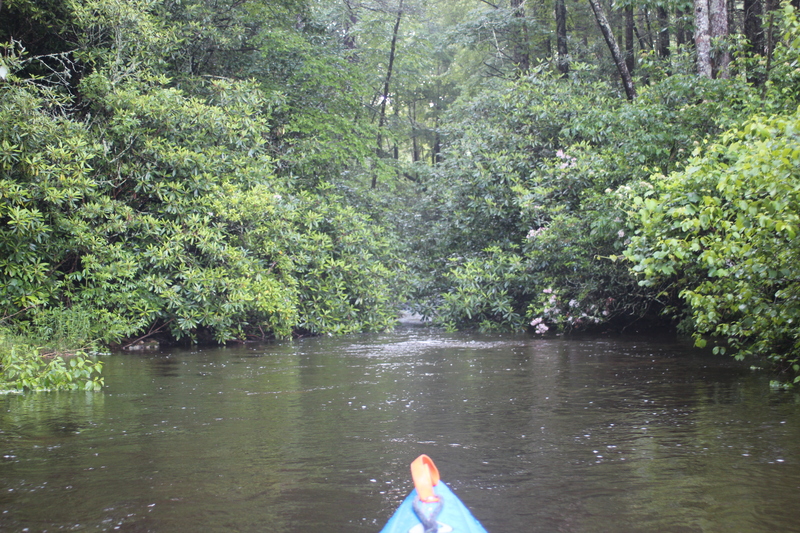 It is the last narrow cove on the right as you paddle towards the incoming river. There is a nice landing on the left side, and a short, but somewhat challenging trail for 15 to 20 minutes leading to beautiful Clear Creek waterfall. Great place for a lunch stop, and it’s in a portion of the lake that is lightly travelled. Thank you Cindy, good information. 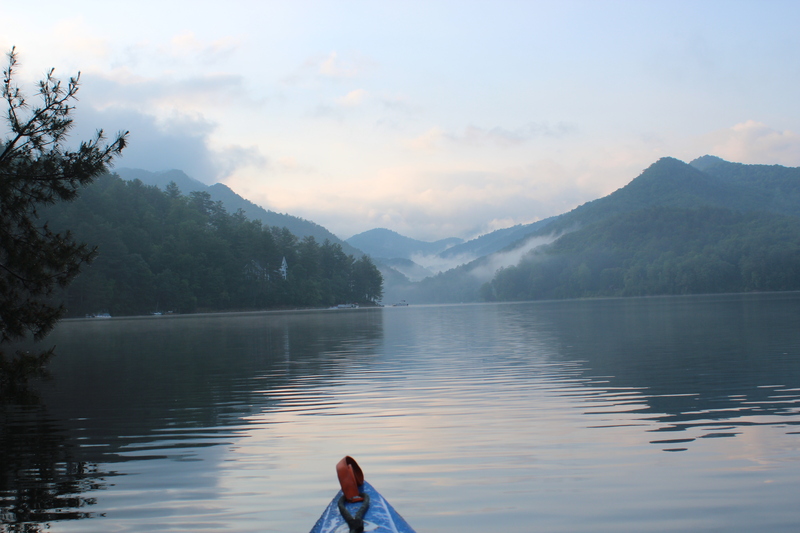 We are talking about renting a place on Nantahala Lake and spending the week paddling. Question – is the water super cold for swimming? Thanks! Lisa, it’s a beautiful place – i wouldn’t consider the water as too cold to swim – just think of it as ‘fresh’ from its trip down the mountain. By all means enjoy the area – and the plunge. Whatever you decide, have a great time.